Once you place an order online, you will receive an order confirmation email. 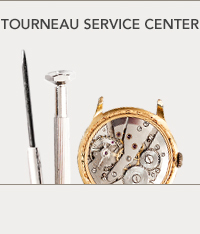 Please add customerservice@tourneau.com to your email address book and safe list to ensure you receive all order status information from our team. Once your order is processed, you will receive a second email with your UPS tracking information. Orders received after 2:00 pm, ET on a weekday are processed the following business day*. Overnight orders placed Friday after 12:00 pm, ET or Saturday will be processed Monday and should arrive the next business day after shipping. For added convenience, you can always check the status of your order using our online tracking form. For security purposes, we require a signature on all deliveries. *Business days are weekdays (Monday- Friday) only. Complimentary 2-Day shipping is applicable for all online orders. 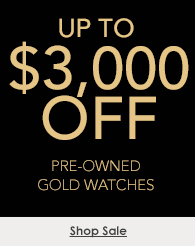 Tourneau does not ship internationally. Tourneau does not ship to P.O. boxes. We do not process or ship orders on the following holidays: New Year’s Day, Memorial Day, Independence Day, Labor Day, Thanksgiving, and Christmas. All orders will be processed on the following business day. We are here to help. If you have any questions about our shipping policy, please contact our Customer Service Center at 800.348.3332 Monday - Friday, 9:00 am - 5:30 pm, ET or send us an email. For added convenience, we offer an in store pick-up option on select items. If the item is available at a store near you, select the in-store pick-up option during checkout. Once your order is received by your local Tourneau store and ready to be collected, you will receive an email notifying you that your order is ready for pick-up. We are only authorized to allow the person who placed the order to collect the item in-store. If you have questions regarding in-store pick-up, please contact a Tourneau representative at 800.348.3332 or email us, and we will be happy to assist you.